Marko Guduric was injured in what was a Pyrrhic win for Fenerbahce. 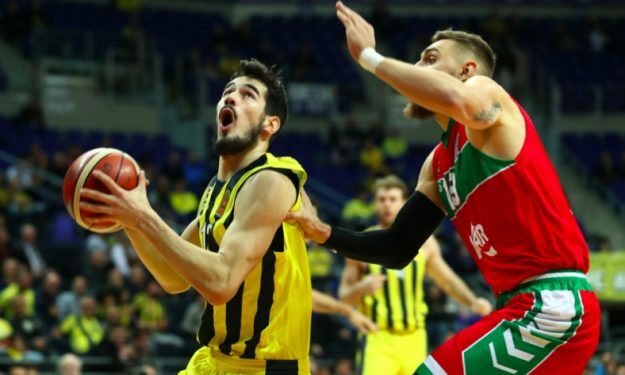 Fenerbahce improved its undefeated BSL record to 8 – 0 with an 80 – 72 victory over Pinar Karsiyaka but saw guard Marko Guduric suffering an injury that might leave him out for the foreseeable future. “Guduric is taken to the hospital. We will learn about his situation tomorrow. It looks a bit serious,” said Fenerbahce head coach Zeljko Obradovic in the post-game press conference. Guduric had to exit the game in the third quarter after injuring his ankle. Karsiyaka had given some trouble to Fener and was up 51 – 53 near the end of the period but Nikola Kalinic (21 points), Bobby Dixon (18 points) and Joffrey Lauvergne (18 points) pushed their team towards the win in the fourth quarter. Assem Marei had a dominant performance with 29 points plus 13 rebounds while Erving Walker scored 15 points and dished out nine assists for Karsiyaka that is now 4-4.